On the Home tab, click Restore > VMware vSphere > Restore from backup > Guest files restore > Linux and other. Click the VM whose files you want to restore and click Guest files > Linux and other on the ribbon. Right-click the VM whose files you want to restore and select Restore guest files > Linux and other. Double-click the VBK or VBM file (for example, in Microsoft Windows Explorer). 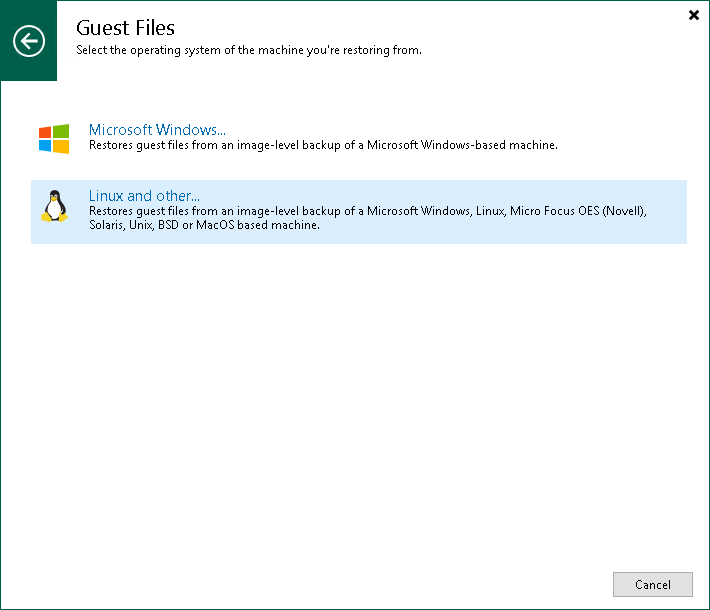 In the displayed window, select the VM and click Restore > Guest files (Linux and other).